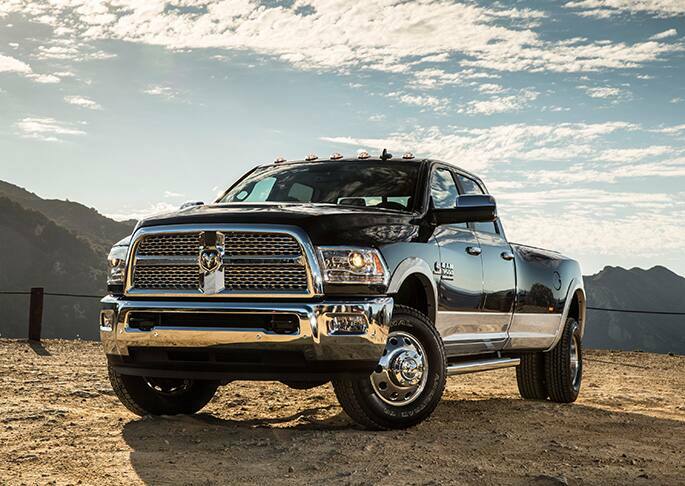 The 2016 RAM 3500 gives you great technology and comfort yet remains a refined work truck. There is a great deal of features that are quite innovative and beat much of the competition. It is because of such things like the hauling and towing capacity of the 3500 that illustrates just how much ability it possesses to get any job done. The 3500 supplies many comforts and conveniences ensuring that your work vehicle can double as your awesome leisure vehicle. The base level motor setup on the 3500 is a great 5.7-liter HEMI V-8 that is capable of 383 horsepower and 400 lb.-ft. of torque. Customers have the ability to upgrade to a stronger 6.4-liter HEMI V-8 or the versatile 6.7-liter high output Cummins turbodiesel. Cummins equipment is widely known with a great reputation. This turbodiesel has 6 cylinders that churns out 385 horsepower and a strong 900 lb.-ft. of torque. The owner of the truck can choose between a six-speed manual or six-speed automatic transmission however; the manual can only be had on the diesel engine selection. The 3500 has a rugged appearance that is certainly bold but also stylish and comfortable. It seems that just about everywhere that you look on the 3500 there is class leading technology and original design. The interior of the 3500 ranks as one of the best in the heavy duty truck segments. It is constructed from soft materials offering plush seats, classy stitching and accented chrome features. It is spacious yet still offers ample storage space. On the rear fenders near the bed of the truck there is a pair of compartments that can be locked and offer ample room for storage. There is an 8.4-inch touch screen in the interior and at the touch of a button you can switch from the backup camera to the camera that monitor the truck bed cargo. This truck bed monitoring is also made easier with the use of the LED truck bed illumination system. There is an additional screen measuring 3.5 inches that offers additional driver information and an optional upgrade to a 7-inch screen that renders this display fully customizable. The Heavy Duty series by RAM is available in 12 standard colors with an additional 18 made available for batches. Some of the standard colors include: Luxury Brown, Pearl White and Red Pearl and depending on the model either available in monotone or two tone. The 3500 offers the regular Hotchkiss spring system but in addition there is updated technology to be had in an air suspension system that automatically inflate the suspension helping to level out the weight and make for a more stable operation and improved pulling ability. 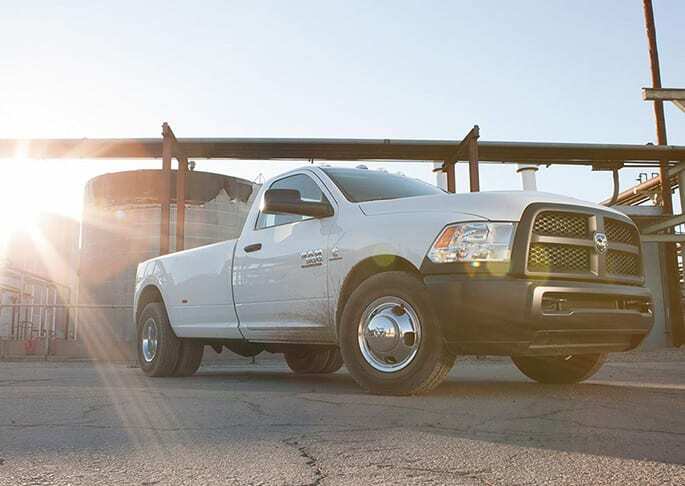 RAM is very proud of its 31,210-pound maximum pulling load which is best-in-class. Can you help me find financing for my 2016 RAM 3500? The RAM 3500 does exceedingly well in the department of safety and provides many features to help keep the occupants in the 3500 safe and secure. There is a tire pressure gauge that keeps the tire pressure and air level up to snuff. The condition of all four of your tires especially with a vehicle like this is an all-important component of what the 3500 is about. There are a great many things on the 3500 for safety equipment including traction and stability control, side and front airbags, anti-lock brakes and lots more. Other equipment worth noting includes two rear-view cameras, rear sensors for parking and a camera for close monitoring of the truck bed and sensitive cargo you may have. Stop in today for a test drive or give us a call.